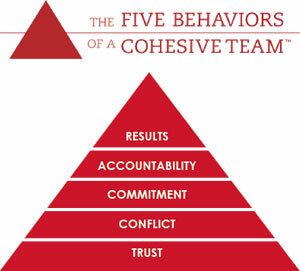 The Five Behaviours of a Cohesive Team™ programme has one simple goal – developing highly effective teams. What does this programme do? The program helps teams understand how they score on the key components of The Five Behaviors of A Cohesive Team™ model: Trust, Conflict, Commitment, Accountability, and Results. You can buy the Assessments directly from us. The process is simple and affordable. You are then free to facilitate the process yourself or use an internal facilitator. We can even train your staff to facilitate the process. Many organisations prefer to use an external facilitator to run their 5 Behaviours programmes as they recognise that this can help get more value from the process. 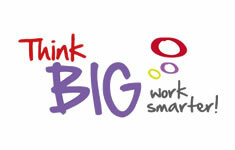 Wild Thinking designs and delivers programmes that are carefully tailored to a team’s needs. We will ensure that the team really makes the most of this powerful tool, with a series of enjoyable, thought provoking and useful workshops. Wild Thinking are Scotland’s first The Five Behaviors of A Cohesive Team™ authorised partners.